A new Firefox mobile OS has been pushed out of Mozilla’s virtual gates today. This latest version of the open source mobile operating system boasts improved graphics, camera and audio functionality as well as support for dual-SIM designs. The Firefox OS 1.3 version is now available for partners of Mozilla to implement in their devices. 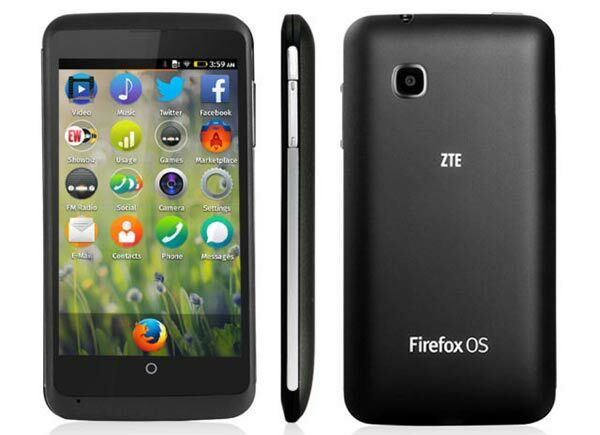 Liliputing notes that the ZTE Open C Firefox smartphone, launched today on ZTE’s eBay site (£69.99), is available with Firefox OS 1.3 installed already. So what exactly does the new operating system bring to the platform? Dual-SIM and dual standby with compatible phones. Improved camera with continuous autofocus and flash support. Also there are gallery feature and performance improvements. Quick access media controls – including from your lock screen. Smart collections to group and tidy your apps and saved searches. More MMS and email messaging options. Performance improvements to speed app startup times and propel fast smooth scrolling. Turning to advancements for developers Mozilla has implemented some big changes including optimisations for games such as WebGL, asm.js and WebAudio support. NFC functionality is also premiering in this release. Finally Firefox OS 1.3 brings improved Gecko 28 platform capabilities and WebAPIs along with Audio Streaming thanks to a new RTSP framework. This last improvement will hopefully bring some music streaming players to Firefox OS. For a quick summary of all the above improvements take a look at Mozilla’s own update video highlights embedded below.